Competition is one of the key factors we evaluate in determining our formulary strategy. 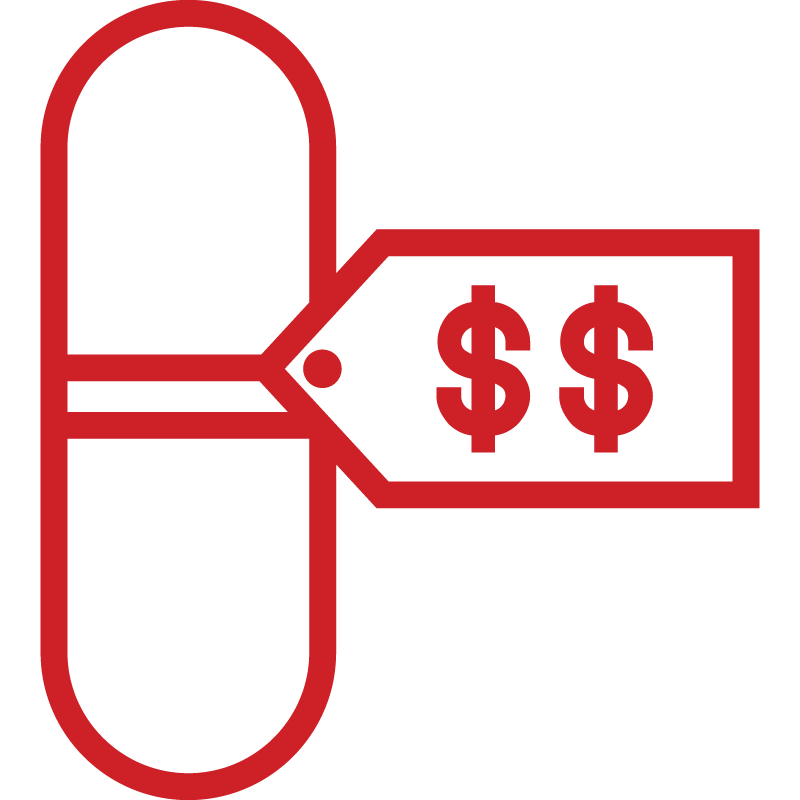 When there is robust competition in a therapeutic category – whether from generics or from multiple brand options – the PBM is able to negotiate pricing with manufacturers effectively. To increase competition, CVS Health introduced formulary options with drug removals in 2012. This strategy helped to motivate brand drug manufacturers to consider their pricing strategy very carefully. In categories with multiple generic options, average wholesale price (AWP) inflation tends to be much lower. As an example, in 2017, the GDR for cholesterol drugs, antihyperlipidemics, was above 90 percent. AWP inflation in the category was 1.9 percent, a fraction of the inflation rate among traditional brands – 9.2 percent. Category trend was negative 25.8 percent. In categories with relatively fewer generic options and a mix of brands, competition again comes into play in terms of pricing and inflation. The antidiabetic category, for example, includes low-cost therapies like generic metformin, a mix of insulins, and newer therapies such as SGLT-2 Inhibitors. Here, the PBM can utilize competition to negotiate effectively for discounts and rebates. In this category, AWP inflation was about half that of traditional brands – 4.9 percent – and trend at 1.4 percent was in line with overall 2017 trend of 1.9 percent. Specialty categories generally include unique products, often with multiple patents, which can delay competitors from entering the market. In these categories, AWP inflation and trend tend to be higher. In the autoimmune category, both AWP inflation and trend reached the double digits – 11.7 percent and 20.3 percent respectively. To generate more competition in specialty categories, CVS Health has prioritized available generics and biosimilars in its managed formularies. CVS Health also offers indication-based contracting, where a drug’s formulary placement aligns with its therapeutic value for a specific indication. Most recently, we introduced tiered plan designs for specialty pharmaceuticals, where a category may include specialty generics and preferred and non-preferred specialty brands. Specialty is growing and changing rapidly. Innovative strategies and active management can help plans anticipate trends and control spend.